The US State Department advised American citizens not to travel by land from Russia to Ukraine due to security reasons. North Korea is to close its borders to foreign tourists from Friday because of fears about the Ebola virus, say travel agencies with links to the country. One more incident with shooting between North and South Korean troops happened on the border between Koreas. Ukraine is preparing to open border crossings on the eastern border with Russia in the coming days, Ukrainian President Petro Poroshenko said late on Saturday. The participants of the talks on Ukraine in Milan agreed on the use of unmanned aerial vehicles (UAV) for monitoring the situation in eastern Ukraine, with details to be finalized in Vienna, Russian President Vladimir Putin said Friday. Beirut's complaint cited the October 5 incident, in which an Israeli patrol in the occupied Shebaa Farms area fired over a ceasefire line and hit a Lebanese outpost in Jabal Sadanneh, wounding a soldier and triggering a shootout. Estonia intends to use US experience to increase security along its border with Russia, the press service of the Estonian Interior Ministry said in a statement quoting Interior Minister Hanno Pevkur on Wednesday. Addressing the United Nations and asking the organization to help solve the conflict at the Indian-Pakistani border will not yield any results, Indian Foreign Ministry spokesperson Syed Akbaruddin said Tuesday during a press conference. The border demarcation between the Ukrainian forces and eastern Ukraine independence supporters will pass along the line of contact of September 19, the Prime Minister of the self-proclaimed Donetsk People’s Republic (DPR) Alexander Zakharchenko stated Saturday. The National Guard of Ukraine is building fortifications on the border between Dnipropetrovsk and Donetsk regions, a spokesman for the Donetsk People's Republic militia told RIA Novosti on Saturday. More than 30,000 residents have fled villages in the disputed Jammu and Kashmir state during an intense cross-border fire exchange between Indian and Pakistani troops, The Hindu newspaper reported Thursday. French President Francois Hollande has expressed support for the idea of creating a buffer zone between Turkey and Syria to ensure the safety of civilians, the president's office said in a statement Wednesday. India's retaliatory attacks against Pakistan in the disputed border regions of Jammu and Kashmir do not target civilians, Border Security Force Director, Gen. D. K. Pathak, told RIA Novost Wednesday. 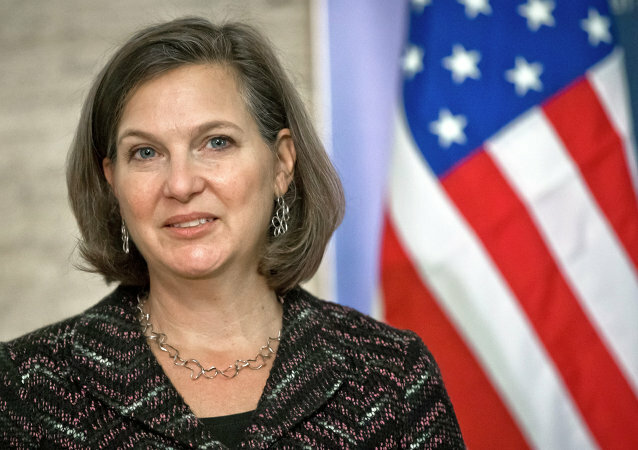 Ukraine will present Russia and the international community with proposals regarding the restoration of control over Ukraine's eastern border, US Assistant Secretary of State for European and Eurasian Affairs Victoria Nuland said Wednesday. Ukraine's State Border Guard Service announced Tuesday it had received engineering equipment worth $3 million from the United States, which is to be presented by US Assistant Secretary of State Victoria Nuland and Ambassador to Ukraine Geoffrey R. Pyatt to Ukrainian authorities on October 8. An Afghan Interior Ministry spokesman confirmed that cross-border shelling is continuing from Pakistan over the Durand Line in the eastern Kunar Province of Afghanistan, the Khaama Press reported Tuesday. The Ukrainian parliament passed a bill Tuesday to change administrative borders within the volatile Luhansk Region, which declared independence in May. 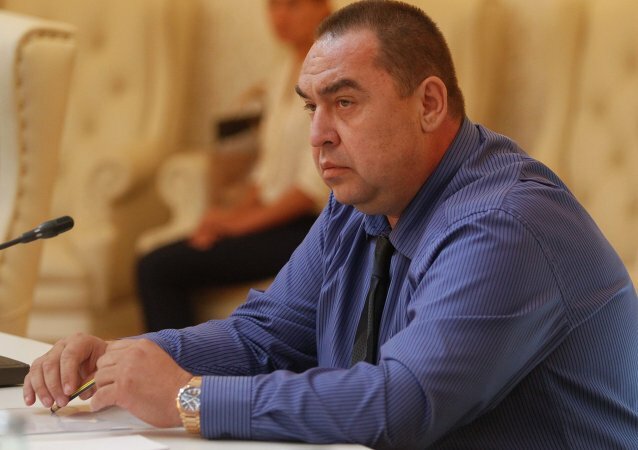 The Ukrainian president’s initiative to change administrative borders of the Luhansk region, which declared itself an independent state in May, is baseless, the head of the self-proclaimed Luhansk People’s Republic (LPR) said Tuesday.